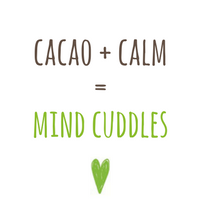 Take some time out to pause and taste some delicious dark chocolate. 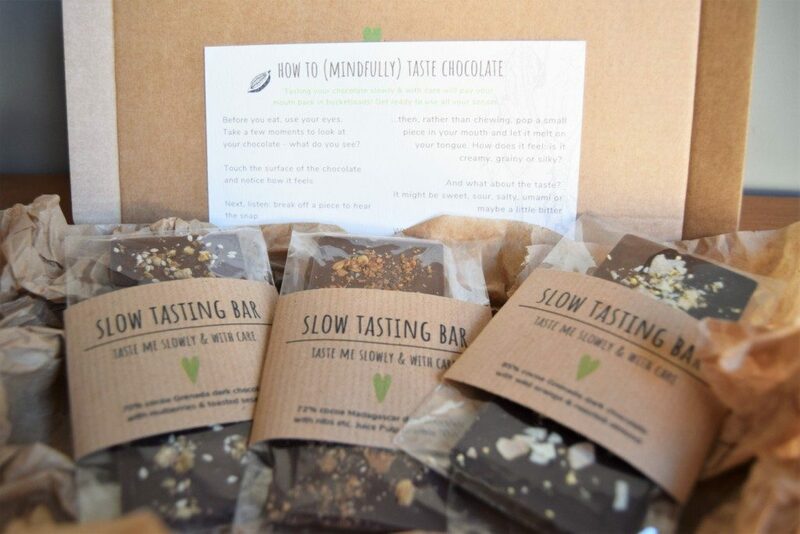 The Slow Chocolate Tasting Bar Subscription pack blends meditation, mindfulness – and chocolate! 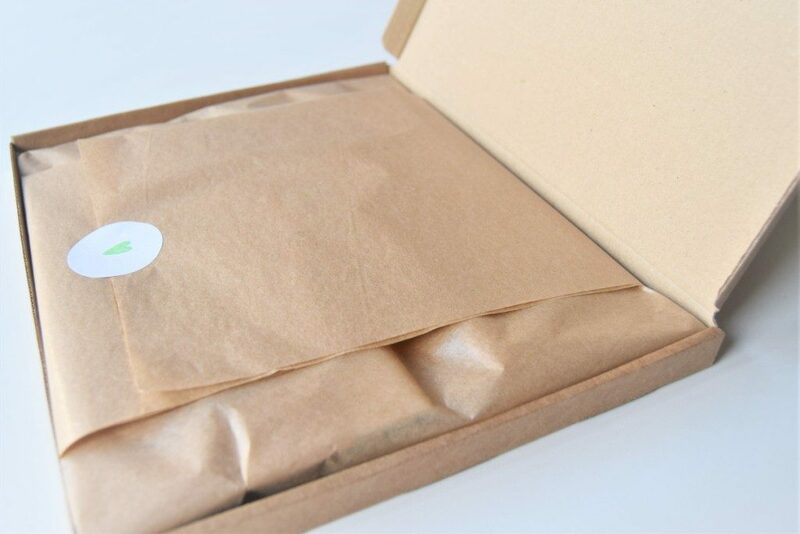 For 3 months a special set of limited edition bars is sent out on the last week of each month. 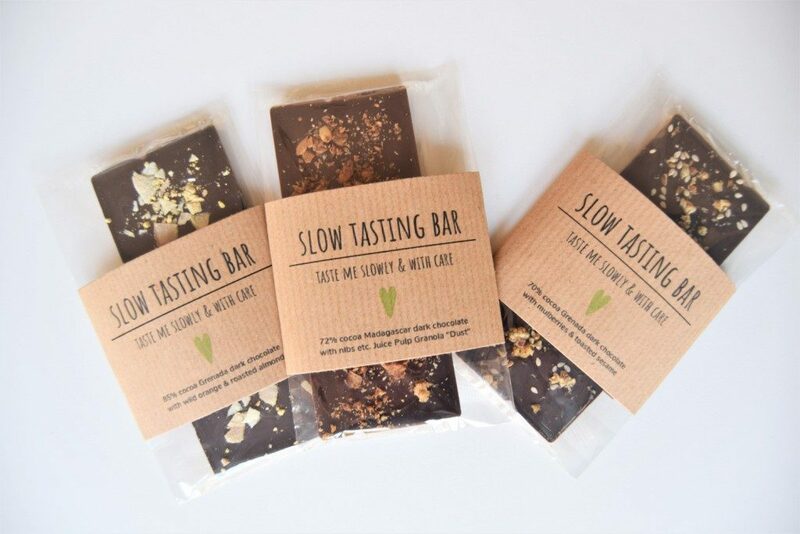 Each selection contains 3 Slow Chocolate Bars with delicious, seasonally-inspired flavours. Each pack contains chocolate delights designed to be savoured not scoffed. 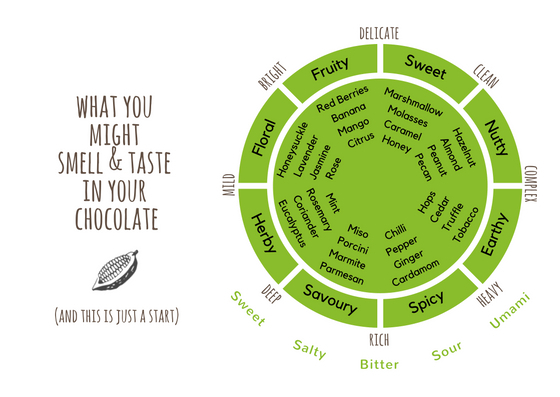 The bars are created in the Food At Heart kitchen, with lots of love, using delicious, fine quality single-origin dark chocolate. Allergens will always be highlighted on your bars. The chocolate is also created in a kitchen which may contain traces of dairy, eggs, gluten, sesame and nuts, but please do get in touch if you have any questions about allergens.